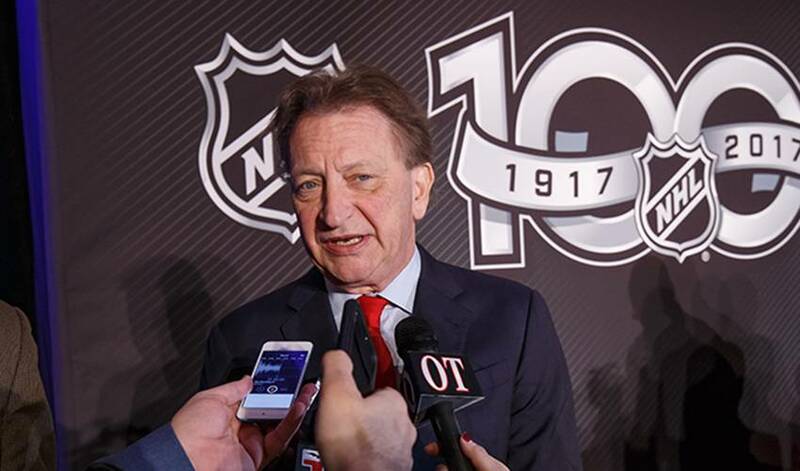 OTTAWA — Senators owner Eugene Melnyk is suing his business partner for $700 million in a development deal that was meant to bring a new NHL arena to Ottawa's downtown. Capital Sports Management Inc., a group controlled by Melnyk, said in a release Friday that it has started legal proceedings against John Ruddy, the chair of Trinity Development Group Inc., "seeking damages arising out of a failed joint venture between Trinity and CSMI." The statement alleges the two companies were not able to finalize a master development agreement for the LeBreton Flats area of Ottawa, a couple of blocks southwest of Parliament Hill. CSMI says its statement of claim "alleges a number of breaches, all arising out of a conflict of interest, that directly resulted in the failure of the partnership." "The joint venture failed because of an egregious conflict of interest on the part of Trinity and its principal, John Ruddy ... that ought to have been identified to CSMI and resolved but instead only worsened over time," CSMI says in the statement of claim. It goes on to say that Ruddy began developing an abutting property that put it "in direct competition with the LeBreton project." The Trinity Group did not immediately respond to interview requests. The NHL also did not respond for comment. The statement of claim was filed a day after the National Capital Commission, the Crown corporation which is responsible for the land at LeBreton Flats, said the Senators-backed RendezVous LeBreton Group (Melnyk and Ruddy are the principal partners) advised the NCC on Nov. 8 that they had not been able to resolve internal partnership issues. The NCC picked RendezVous for a development deal at LeBreton Flats that included a new NHL arena for the Senators as well as housing developments. The Senators currently play at the Canadian Tire Centre in Kanata, about 22 kilometres west of Ottawa's downtown.